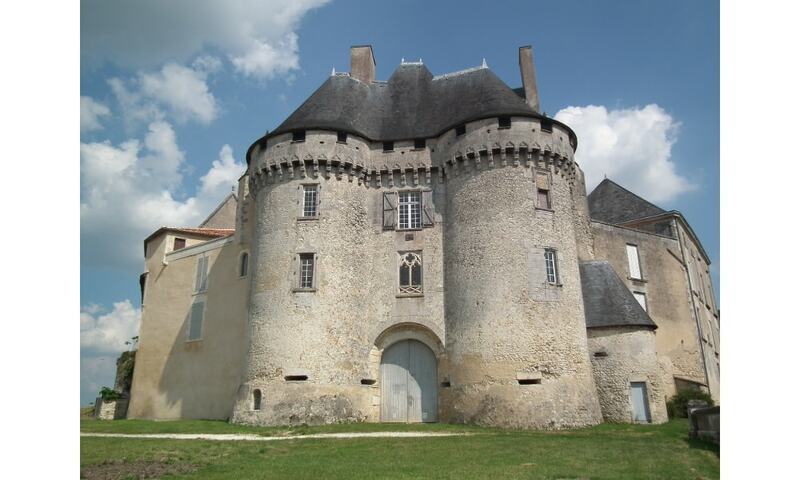 The Castle of Barbezieux dates from 1453. A previous fortification stood on the site from the 11th century; the writings mention a wooden castrum built on a promontory around the year 1000. Unfortunately, no trace of it survived. The present structure was constructed on the orders of Marguerite de La Rochefoucauld; she intended to provide jobs during a difficult time of famine. Throughout the centuries, the castle has been home to many famous noble families such as Barbezieux, La Rochefoucauld, Richelieu or Le Tellier. During the French Revolution, part of the castle was strengthened and used as a prison. In 1844, the castle was bought by the town and partly restored. Over the next 80 years, it had many uses: a hospital, a girls' school and even a theater (from 1900, the former stables were transformed and used as a theater). In 1922, a new building was added on the western side; today, it houses a library. Although a substantial part of the castle was taken down by the town during the 19th-century renovation, Chateau de Barbezieux still appears as an imposing fortress. In the middle, the two high round towers which frame the gateway are covered by a single roof and the openings for the cannons can still be seen. The castle now houses the town's tourist office, a theater and a small local museum of archeology.